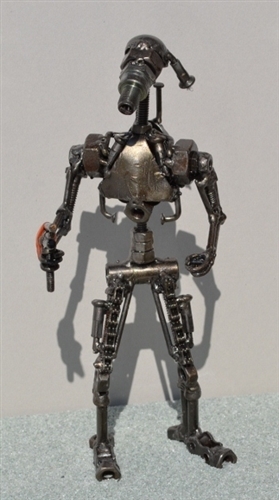 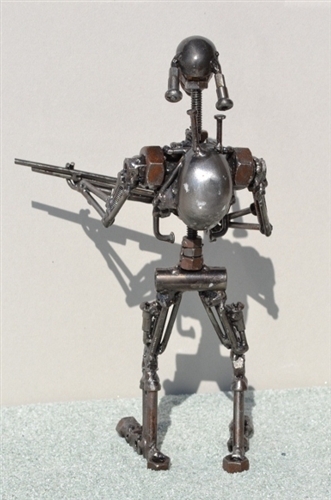 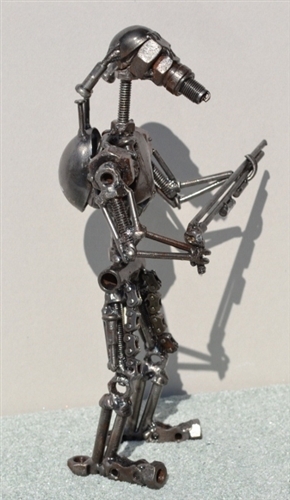 This Star Wars classic, BATTLE DROID sculpture is approx. 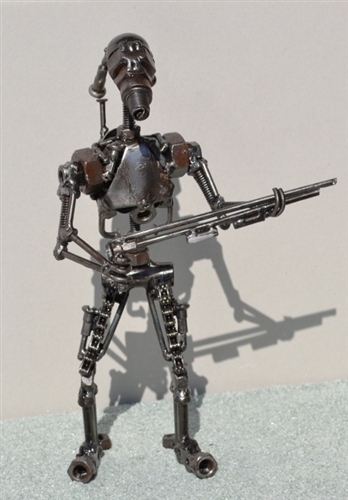 10 inches tall and has a lot of detail and a cool gun moving head an torso. 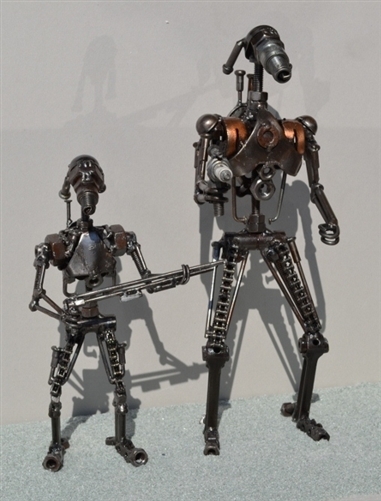 We added a photo of the big and small Battle Droid, so you can see the size difference.